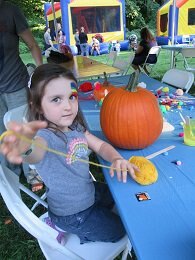 Every September “The Great Pumpkin Man” rises up from his spot in the community, and comes to the West Roxbury, Ma. 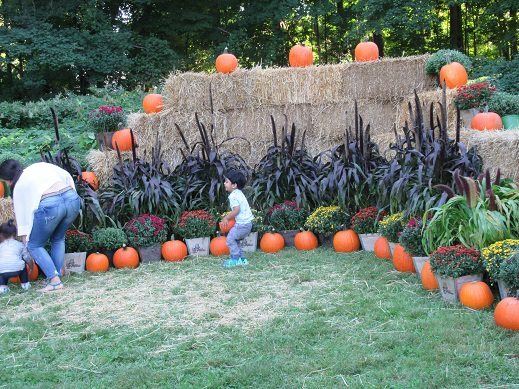 Home Depot, to place a pumpkin order so that all the good boys and girls that attend the, 3 Day Pumpkin Festival, will receive a pumpkin, to decorate and take home. The number of pumpkins “The Great Pumpkin Man” purchases increases each year. Years ago when the pumpkin festival started he presented several hundred pumpkins to area children. This year, 2018, he gave away several thousand pumpkins to the delight of several thousand children, and their families! 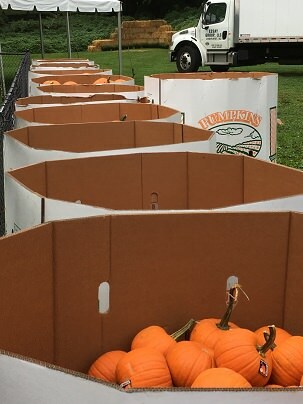 Crates and crates of pumpkins were delivered to the festival site. The crates were very carefully unloaded onto a grassy field just waiting for the children to come and select one to decorate and take home. The festival grounds were magical, pop up tents provided shelter from the sun and each tent had places to sit and activities for the kids to do. Music filled the air, and delicious smells were carried in the breeze from the Greek festival that was celebrated on the same grounds, such a perfect community event! 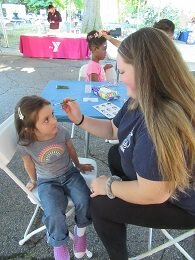 Children were greeted with an invitation to have their face painted any design they wished. The design was then patiently painted by cheerful artisans. 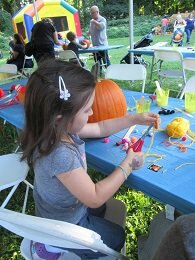 Custom pumpkins were designed by all the children, there was yards of yarn and oodles of pompoms, googley eyes and gobs of glue that were perfectly placed on the pumpkins[ to create fabulous works of art, no two were alike. There was a bouncy castle kingdom humming in the field, the children were so excited to see the immense castles, and the super enormous slide. Shoes were kicked off with joy when the kids entered the bouncy houses, and the bouncy slide kept all the kids screaming with laughter, it was a blast! 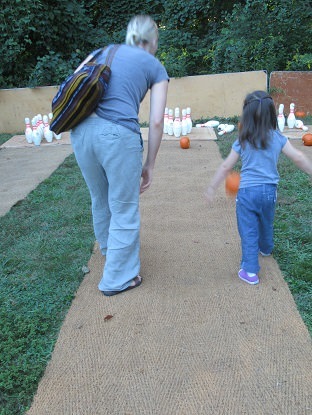 Pumpkin bowling was a big hit, the kids rolled sugar pumpkins down a burlap lane to knock down the real candlepins at the end…this was a total score with all the kids and parents too! 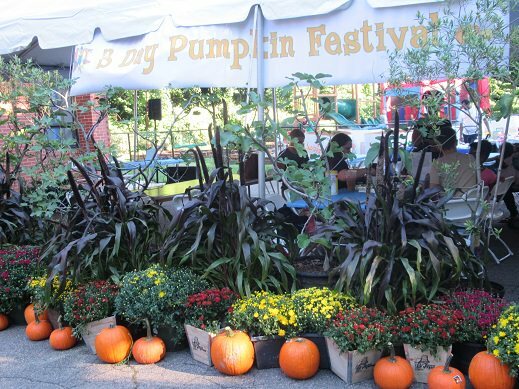 The 3-Day Pumpkin Festival is a celebrated local event! 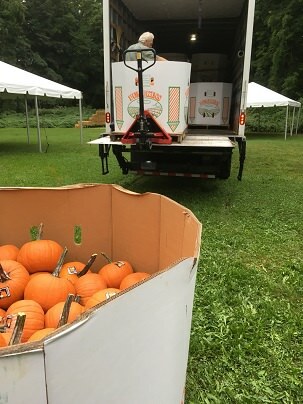 Each year I help with the delivery of the pallets of pumpkins.....that...is an event in itself, is always a fun adventure for me! 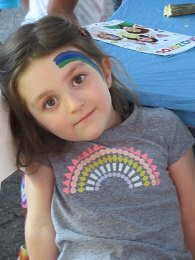 This year I saw it through the eyes of a child, my three-year-old granddaughter, she loved every minute! 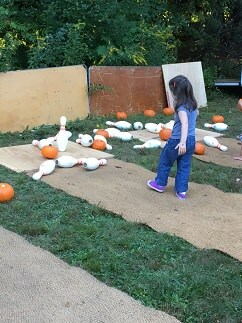 She had her face painted with a rainbow, decorated a pumpkin with what seemed like gallons of glue and a bushel of pompoms, she bounced till she could bounce no more and then rolled a strike at pumpkin bowling! We all scored big, a great time was had by all! Boston is very lucky to have “The Great Pumpkin Man”, a community person that enjoys the gift of giving! 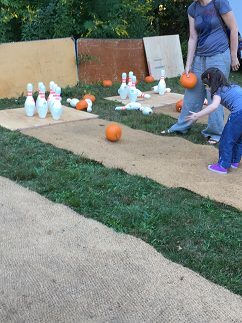 Not only does he give a gift pumpkin to every child that attends, he creates an event that family and friends can gather at, to run and play, to eat and enjoy, and to bounce and bowl, the event also plants pumpkin memories…. a gift to us all! 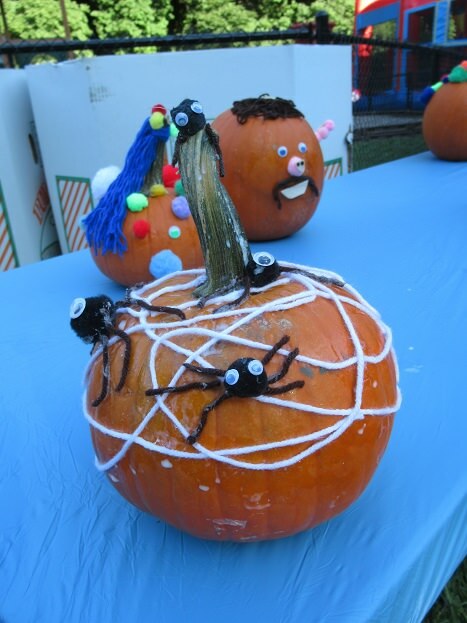 Thank you Mr. Alan MacKinnon….AKA….The Great Pumpkin Man, for taking the time and creating an event that is loved by all!